It is hard to believe that almost two months of school has passed. Although two months does not seem like a lot, I find myself already reflecting back on the significant progress we have made with our new school. 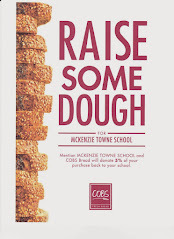 This is to remind you and encourage you to attend the McKenzie Towne School Council (MTSC) and the McKenzie Towne School Parent's Association (MTSPA) meeting on Monday (October 26) at the Haultain Memorial School Library starting at 6:30pm. These meetings are a great opportunity to hear about the efforts underway, become informed and get involved. We welcome and encourage all parents/guardians/those involved to attend. teacher (or two). And then immediately following this will be the MTSPA meeting. This will have news about the significant efforts being made toward a Playground, Fundraising and involve making decisions on how some initial funds will be spent. For more details please see the MTSC and MTSPA agendas. If you have any questions, comments and/or concerns please feel free contact me.